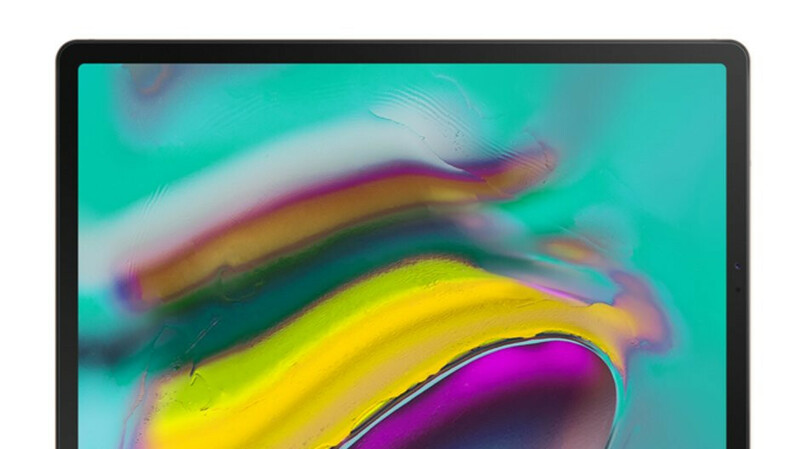 Samsung introduced a few days ago its new lineup of Android tablets, but for some reason, the initial announcement skipped one of the slates the South Korean company will launch on the market in about two months, the 2019 Galaxy Tab A 10.1. While we've told you everything you need to know about the Galaxy Tab S5e, a not so cheap tablet, let's take a look at another Android tablet that Samsung revealed recently, the 2019 Galaxy Tab A 10.1, a more affordable slate that costs half the price of the Galaxy Tab S5e. Now, it's worth mentioning that the 2019 Galaxy Tab A 10.1 has been introduced alongside the Galaxy Tab S5e, and will be available on the market around the same time, but the official announcement only went live in Germany, which suggests the tablet will be initially released across several European countries. We have no doubt that the affordable 2019 Galaxy Tab A 10.1 will eventually make it to the United States, but we don't have a clear timeframe at the moment. Unlike the Galaxy Tab S5e that we've already told you about, the 2019 Galaxy Tab A 10.1 won't force you to break the bank in case you decide to buy it. Of course, its affordability comes at a price, so don't expect the 2019 Galaxy Tab A 10.1 to include any high-end features, on the contrary. The slate packs half the amount of memory the Galaxy Tab S5e includes - 2GB RAM and 32GB internal memory (expandable via microSD card up to 400GB). 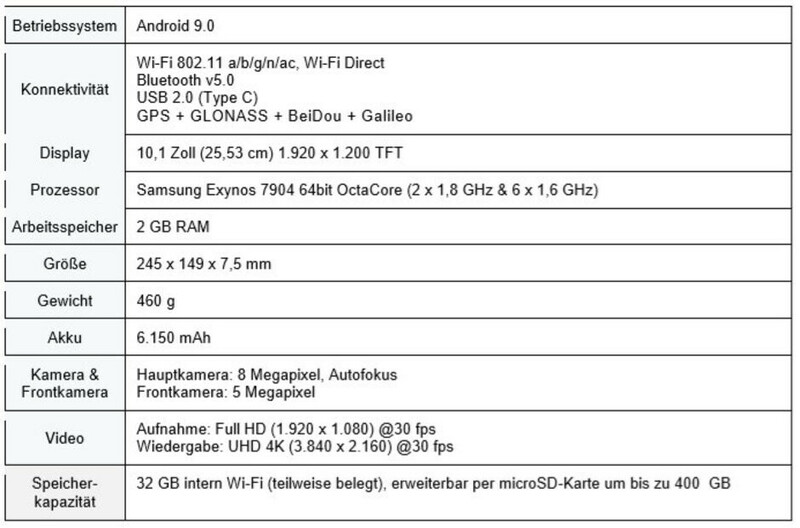 Also, Samsung has decided to embed its own Exynos 7904 chipset inside rather than a Qualcomm processor. The chipset accommodates eight cores, just like Galaxy Tab S5e's Snapdragon 670 SoC (system-on-chip), but it's not as powerful nor efficient. On the bright side, the 2019 Galaxy Tab A 10.1 sports a large 10.1-inch display with 1920 x 1200 pixels resolution, although it's not Super AMOLED. Furthermore, the slate allows users to take pictures with either of its two cameras: 8-megapixel main camera and 5-megapixel selfie snapper. Just like its more expensive sister, the Galaxy Tab A 10.1 will run Android 9 Pie operating system right out of the box, but it will pack a smaller 6,150 mAh battery compared to Galaxy Tab S5e's. These are the main highlights of the Galaxy Tab A 10.1, but we'd also like to add that it will be available in two variants – Wi-Fi only and LTE. Design-wise, both tablets feature metal casing to give them a premium feel. The price-performance ratio should be adequate as well, although Samsung has prepared freebies for those who pre-order the Galaxy Tab S5e only. Speaking of price and availability, Samsung Galaxy Tab A 10.1 will be available for purchase for €210 (Wi-Fi only) and €270 (LTE). The tablet will go on sale in three color versions: Black, Gold, and Silver. Samsung announced that customers will be able to pre-order the 2019 Galaxy Tab A 10.1 from March 14 until April 4. Those who pre-order the more expensive Galaxy Tab S5e during the same period will also receive the AKG Headphones Y500 in blue for free. It's also worth mentioning that starting April 5, Samsung will sell a large number of different covers and a POGO stand for either of the two tablets. As mentioned earlier, the 2019 Galaxy Tab A 10.1 will be initially launched in Germany, but we can safely assume it will be made available in other countries soon afterward. Many of Samsung's Galaxy Tab A tablets are available for purchase in the U.S., so we have no reason to believe the 2019 Galaxy Tab 10.1 will be the exception to the rule. I would rather get an iPad. But these tablets are among the best ones in the Android space. Thank you Samsung! 2gb of RAM? No, thanks. NO tablet should have 2gb of memory they will stutter & frustrated within weeks. 3gb minimum.